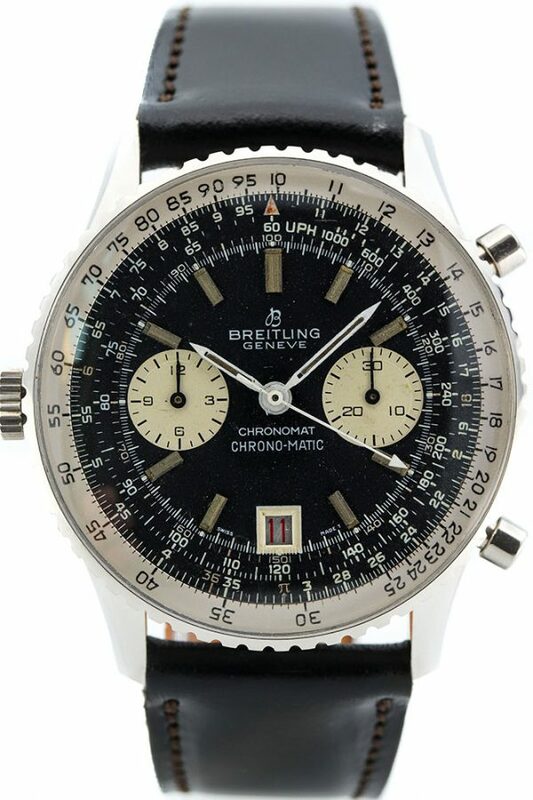 When the first Breitling Chronomat was introduced, it was promoted to engineers, mathematicians and scientists. 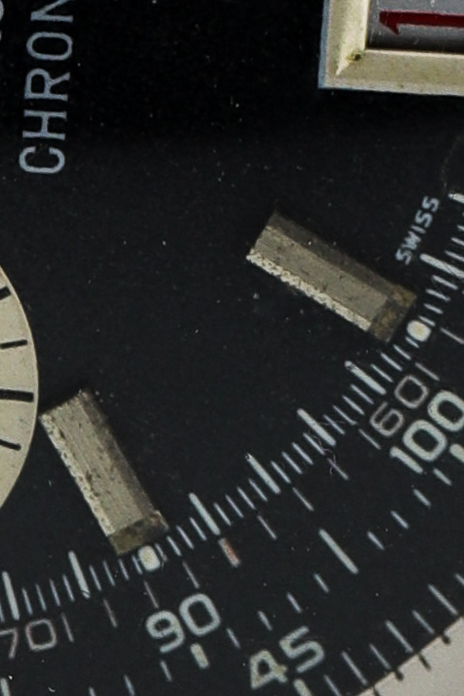 A precise watch for precise working people. 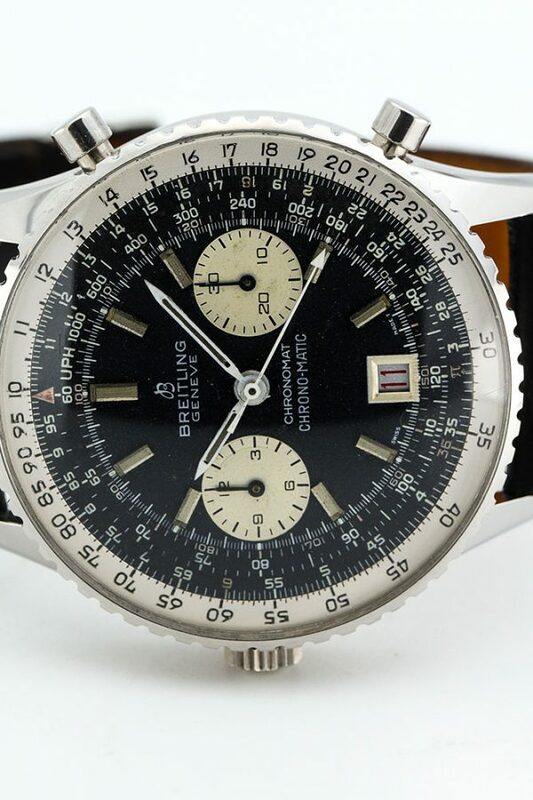 Over time this watch has been produced in many configurations, this has led to an enormous variety of Breitling Chronomats on today’s watch market. 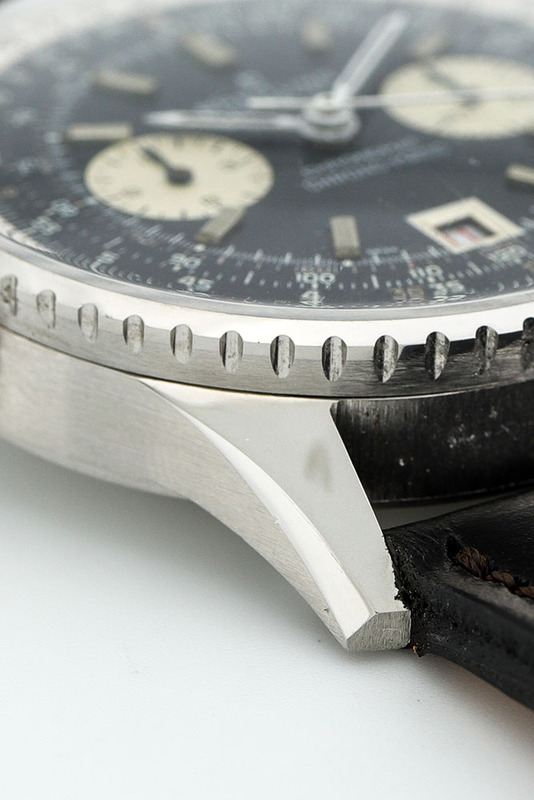 It started with a regular sized case, after which a bigger case was introduced. 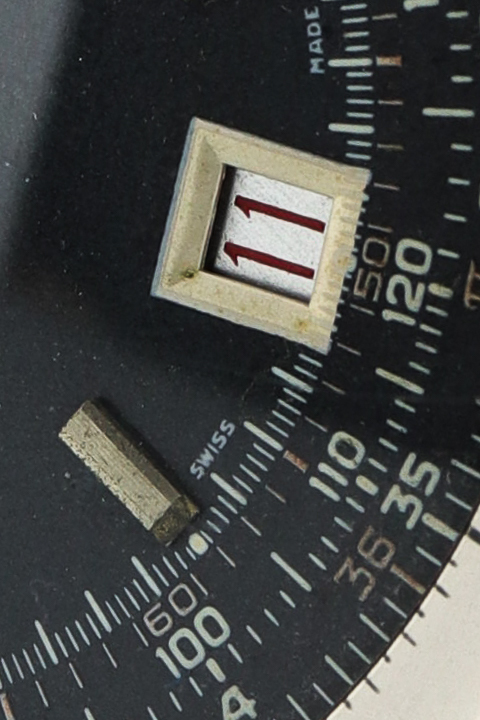 This is where the famous calibre 12 is hidden. The composition of this watch looks a lot like an early Breitling Navitimer. 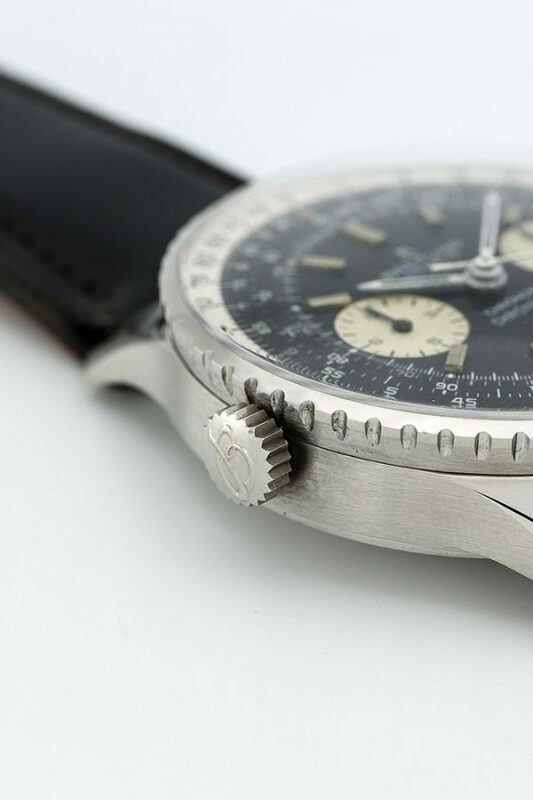 The recognisable serrated steel ring, the deep blue coloured dial and the thick tritium markers within the rings of measurement, these are all tells of a Breitling pilot’s watch. Even though this watch does not have the double aeroplane logo like the Navitimer, this watch still has everything a pilot needs today. 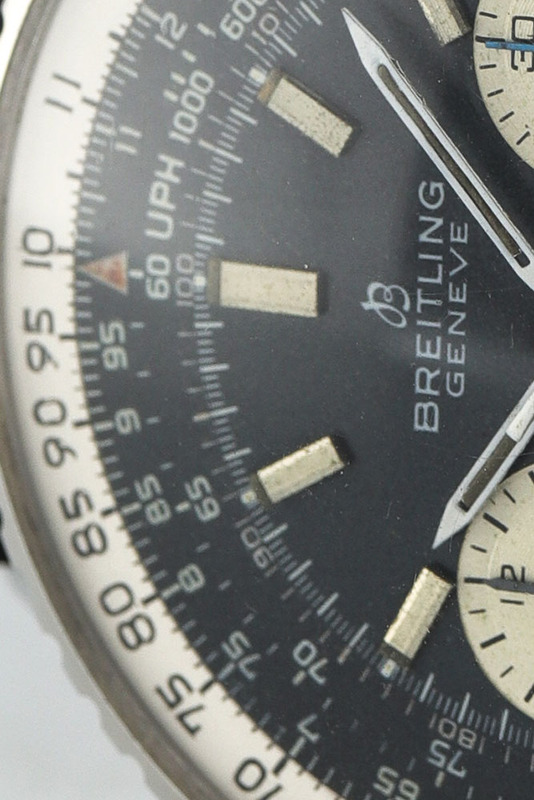 The classic smaller Breitling logo actuallty makes the busy dial more clean. Ageing has turned the white registers to a beautiful cream colour and the tritium has a nice patina too. 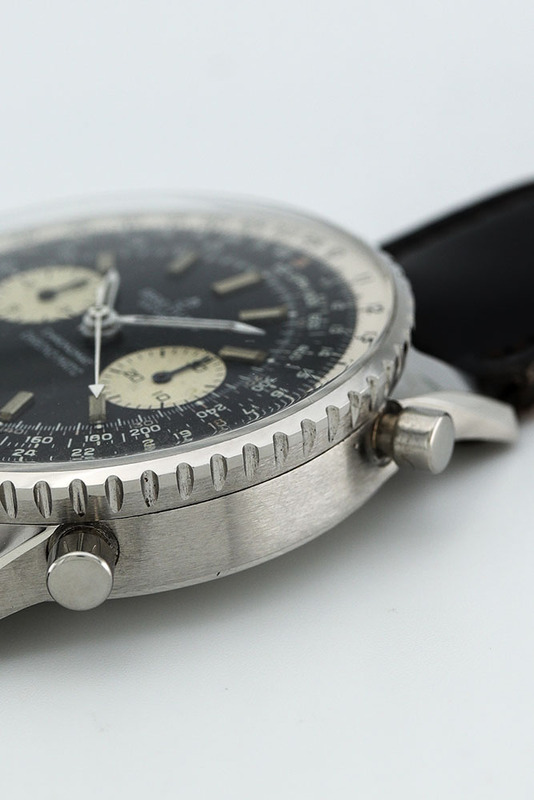 This all gives the watch a perfect overall vintage look and feel which makes many watch-fanatics hearts beat faster. Visit our store and come check it out.